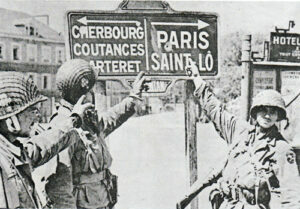 Carentan was defended by the 6th Parachute Regiment, two Ost battalions and remnants of other German forces. The 17th SS Panzergrenadier Division, ordered to reinforce Carentan, was delayed by transport shortages and attacks by Alliedaircraft. The attacking 101st Airborne Division, landed by parachute on 6 June as part of the American airborne landings in Normandy, was ordered to seize Carentan..
GI´s pointing to a sign post at the center of Carentan. Today where are leaving Carentan and our lovely stay at the B&B . If you want to see the landing beaches and the Airborne landings this is one of the best options as you are in the center where the actions has been taking place. Nancy is running a great B&B and even makes her own bread, jam, yoghurt (I wonder what she does not make by her own). The rooms are great and large. CarentanThe nature around Carentan is very nice especially if you like Oysters. One road you should drive during dusk is the small road to left side of the river Diver to the ‘Parc Naturel Regional des Marais du Cotentin et du Bessin’. 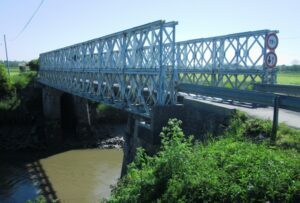 Just out of Carentan you cross a side arm of the river on a original Bailey bridge. At the end of the long road you can see the sun going down in the see. 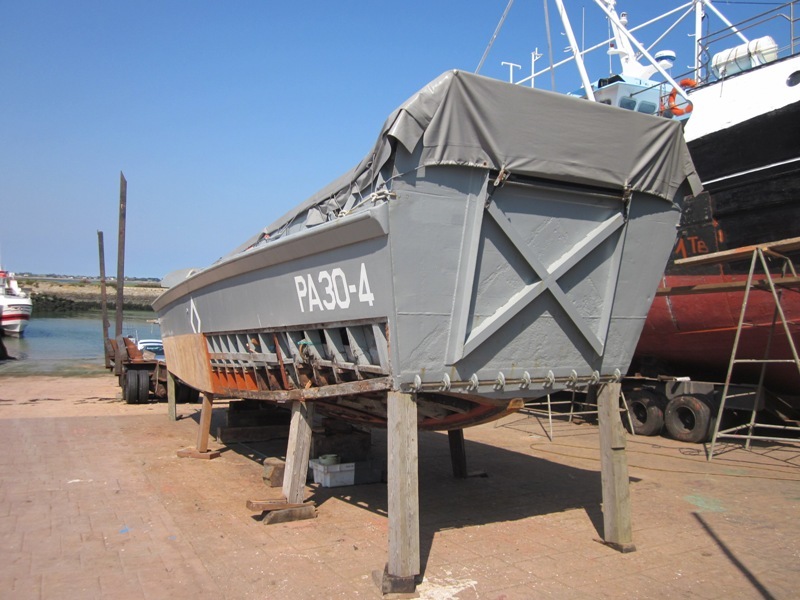 In the harbor of Carentan lies an original Landing Craft (PA30-4).